It’s no secret – Aussies love a Thai-riffic feast. When you can’t be bothered popping to the shops for groceries and cooking at home, nothing beats a creamy green curry or a sweet and tangy cashew nut stir-fry. 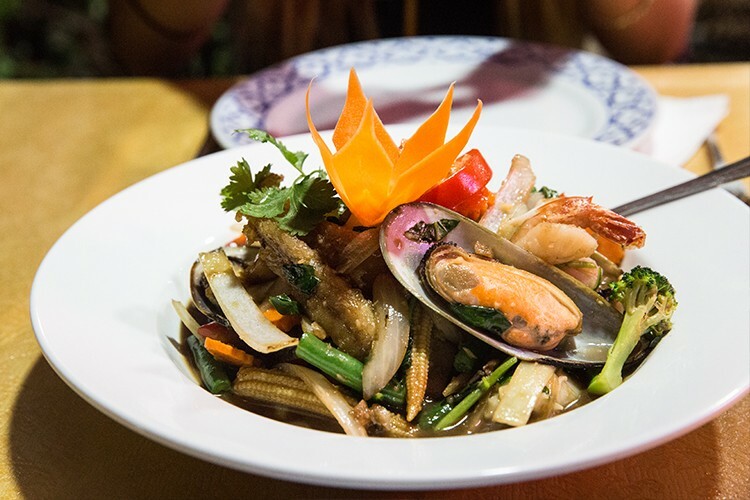 And for some of the best on the Sunshine Coast, you can’t look past Siam Thai Restaurant. Since opening in 2000, father and son owners Nook and Neale have been serving up a truly authentic Thai food experience – and it’s evident in every bite. The satay skewers taste like they could have come straight off the grill of a street food vendor in Patong, and every dish sings with the perfect balance of spicy and salty, sour and sweet. For more Bangkok for your buck, there’s nowhere like Siam Thai Restaurant. We had a chat to Nook and Neale – why don’t you wok this way and meet them too?